Draft: 2011, Washington Nationals, 1st rd. Alex John Meyer...On Twitter: @realAM23 ... Attended Greensburg High School (Greensburg, IN)...Named AFLAC All-American and Louisville Slugger HS All-American...Was rated #5 high school prospect by Baseball America...Named Gatorade Indiana Player of the Year...In senior season, went 8-0 and established school records with a 0.95 ERA and 108 strikeouts...Also played four seasons of basketball (two-time All-Conference selection) and played football during freshman year ... Spent time in offseason working as substitute teacher in hometown Greesburg, IN schools from 2011-14 ... Attended University of Kentucky and majored in agriculture...Earned second-team All-SEC honors in 2011 and led Wildcats in starts, wins, ERA, innings pitched and strikeouts ... Played in Arizona Fall League following 2013 season and was selected to Rising Stars Game. Spent entire season on Angels disabled list recovering from right shoulder labrum surgery performed by Dr. Neal ElAttrache on Sept. 12, 2017. Entered season ranked by Baseball America as #3 prospect in Angels system ... Opened year with Triple-A Salt Lake and made three starts for Bees before being promoted to Angels Apr. 21 ... Won back-to-back starts May 9 at Oakland and May 14 vs. Detroit, marking first time in career winning consecutive decisions ... Recorded first career hit May 20 at Citi Field off New York's Zack Wheeler in first professional plate appearance (first plate appearance since high school) ... Missed 11 games on disabled list (back spasms) from May 21-June 1 ... In eight starts following return from DL (June 1-July 19), went 2-3 with a 2.66 ERA (44 IP - 13 ER) and 47 strikeouts... His ERA ranked fifth in American League in that span...Allowed two-or-fewer runs in six of eight contests ... Recorded career-high nine strikeouts June 7 at Detroit and matched the total June 17 vs. Kansas City ... Set career high with seven innings pitched in last start of year July 19 vs. Washington...Did not allow a run and yielded just one hit and one walk with seven strikeouts ... Placed on DL July 24 with right shoulder inflammation and missed remainder of season. Entered season ranked by Baseball America as #12 prospect in Twins system...After opening season with Triple-A Rochester, was recalled by Minnesota April 25 and made two appearances for Twins, including fi rst career start on May 3 at Houston...Placed on disabled list by Rochester on May 4 with right shoulder infl ammati on...Acquired by Angels on Aug. 1. with Ricky Nolasco and cash for LHP Hector Santi ago and minor league RHP Alan Busenitz...Made fi rst of fi ve minor league starts in Angels system on Aug. 12 for Arizona Summer League Angels...Recalled from Triple-A Salt Lake on Sept. 3 and made Angels debut Sept. 7 at Oakland...Earned fi rst career win on Sept. 18 vs. Toronto aft er tossing fi ve scoreless innings. Played in second spring training with Twins and was optioned to Triple-A Rochester March 20, where he started the season....Tied minor league single-game career-high with 11 strikeouts in 6.0 shutout innings April 21 at Syracuse (ND)....Began season in Red Wings rotation, going 2-3, 7.09 ERA (39.1 IP, 31 ER) with 24 walks and 41 strikeouts in eight starts...Moved to bullpen in late May and made nine appearances, allowing one earned run in 17.0 innings pitched (0.53 ERA) with six walks and 20 strikeouts... Recalled from Triple-A Rochester June 26...Made major league debut June 26 at Milwaukee, entering the game in relief in the first inning; allowed four runs on three hits in 1.2 innings pitched...recorded first strikeout, fanning Jean Segura in the second inning.... Appeared in one more game and was optioned back to Rochester July 4.... Held opponents scoreless in his final seven appearances with Rochester (15.2 IP) since August 16, including six walks and 19 strikeouts... Posted a 3.08 ERA (52.2 IP, 18 ER) in 30 relief appearances with the Red Wings.... Named 12th best prospect in Twins system by Baseball America, entering 2016. Was an invitee Twins spring training, reassigned to minor league camp March 9 and spent entire season at Triple-A Rochester...Started Red Wings home opener April 6 vs. Buffalo, allowing three runs (2 ER) on three hits in 5.0 innings pitched and did not factor into decision...Recorded career-high 11 strikeouts in consecutive starts April 23 at Pawtucket and April 28 vs. Charlotte, becoming first Red Wings starter with double-digit strikeouts in consecutive starts since Francisco Liriano in 2005...Named Twins minor league Player of the Week April 25...Earned first career Triple-A win April 28 vs. Charlotte, tossing 6.0 shutout innings...Posted 15.2 scoreless innings streak April 23-May 4...Recorded 10 strikeouts twice: July 8 vs. Buffalo and August 20 at Buffalo...Selected to play in SiriusXM Futures Game July 13 at Target Field, replacing teammate Trevor May (calf strain); pitched a scoreless fifth inning, allowing one hit while throwing just four pitches...Walked career-high five batters July 29 vs. Lehigh Valley (5.0 IP)...Went 2-0, 1.55 ERA (29.0 IP, 5 ER) with 17 walks and 34 strikeouts in five July starts...Placed on 7-day disabled list August 31 with right shoulder inflammation, ending his season...Held right-handed hitters to a .214 (52-for-243) batting average and left-handed batters to a .269 (64-for-238) average...Finished second in International League in strikeouts (153), fourth in batting-average-against (.239) and seventh in ERA (3.41)...Led Red Wings in strikeouts (153) and starts (27), and second in innings pitched (130.1)...ranked second in Twins organization in strikeouts, trailing Phil Hughes (186)...Added to Twins 40-man roster November 20...Ranked fifth best prospect and best curveball in Twins system by Baseball America entering 2015...also best fastball and best breaking pitch in International League by Baseball America...Named 29th best prospect in baseball by MLB.com entering 2015. Spent first season in Twins organization...was an invite to Twins Spring Training, reassigned to minor league camp March 10; reported to Double-A New Britain…Went 2-0, 1.64 ERA (22.0 IP, 4 ER) with 26 strikeouts in first four starts April 7-25…Set season-high with 10 strikeouts June 1 vs. Bowie (6.1 IP)….Placed on 7-day disabled list June 7 with right shoulder discomfort; pitched in three games on rehab assignment with GCL Twins and was reinstated August 24…Made just two starts upon return, tossing 9.0 shutout innings August 24-29…Ranked second on the Rock Cats staff in strikeouts (84), despite pitching the sixth most innings on the staff (70.0)…Played in the Arizona Fall League with Glendale Desert Dogs, going 2-1, 3.12 ERA (26.0 IP, 9 ER) with seven walks and 28 strikeouts in seven starts...named to West Division Fall Stars Team...ranked number five in the Top 20 AFL Prospect List...named to AFL Top Prospects Team…Named third best prospect, best fastball and best curveball in the Twins system by Baseball America entering 2014. Named sixth best prospect and best slider in Washington's minor league system by Baseball America entering the season. ... Started professional career with Single-A Hagerstown (Washington). ... Won first professional start April 7 vs. West Virginia, tossing 5.0 shutout innings with two hits allowed, no walks and four strikeouts. ... Won five consecutive decisions May 5-June 12, including a record of 3-1, 2.41 (33.2 IP, 9 ER) with 11 walks and 40 strikeouts in six June starts. ... Pitched first career complete game shutout (6.0 IP) June 12 vs. Hickory. ... Set season-high with 11 strikeouts (6.2 IP) June 24 vs. Lakewood. ... Promoted to Single-A Potomac July 18. ... Did not allow a run in first 14 innings pitched at Potomac. ... Allowed just three earned runs in first five starts (29.0 IP) July 20-August 12, posting a 0.93 ERA in that span. ... Placed on 7-day disabled list with a right calf strain August 25, ending his season. Led Kentucky in starts (14), wins (7), ERA (2.94), complete games (4), shutouts (2), innings pitched (101.0) and strikeouts (110)...finished theregular season as the SEC leader in strikeouts, strikeouts-looking (48), innings pitched-per-game (7.21), complete games and shutouts...rankedsecond in the SEC in innings pitched, ninth in ERA, eighth in wins, second in strikeouts-per-game (9.8) and fifth in opponent batting average(.220)...became 10th player in program history to record 100-plus strikeouts in a single season...finished eighth in UK single season history instrikeouts and ninth in the NCAA...earned six weekly honors during the year, including two SEC Pitcher of the Week honors and a Louisville SluggerNational Player of the Week honor...had eight career double-digit strikeout games, including four on the season. January 25, 2019 RHP Alex Meyer assigned to Salt Lake Bees. 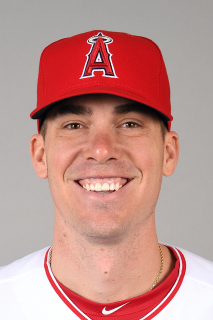 January 8, 2019 Los Angeles Angels signed free agent RHP Alex Meyer to a minor league contract and invited him to spring training. November 26, 2018 Los Angeles Angels released RHP Alex Meyer. November 21, 2018 Los Angeles Angels designated RHP Alex Meyer for assignment. November 2, 2018 Los Angeles Angels activated RHP Alex Meyer from the 60-day disabled list. February 21, 2018 Los Angeles Angels placed RHP Alex Meyer on the 60-day disabled list. November 6, 2017 Los Angeles Angels activated RHP Alex Meyer from the 60-day disabled list. August 31, 2017 Los Angeles Angels transferred RHP Alex Meyer from the 10-day disabled list to the 60-day disabled list. Right shoulder inflammation. July 25, 2017 Los Angeles Angels placed RHP Alex Meyer on the 10-day disabled list retroactive to July 21, 2017. Right shoulder inflammation. July 19, 2017 Los Angeles Angels recalled RHP Alex Meyer from Salt Lake Bees. July 4, 2017 Los Angeles Angels optioned RHP Alex Meyer to Salt Lake Bees. June 1, 2017 Alex Meyer roster status changed by Los Angeles Angels. May 24, 2017 Los Angeles Angels placed RHP Alex Meyer on the 10-day disabled list retroactive to May 22, 2017. Back spasms. May 4, 2017 Los Angeles Angels recalled RHP Alex Meyer from Salt Lake Bees. April 22, 2017 Los Angeles Angels optioned RHP Alex Meyer to Salt Lake Bees. April 21, 2017 Los Angeles Angels recalled Alex Meyer from Salt Lake Bees. March 25, 2017 Los Angeles Angels optioned RHP Alex Meyer to Salt Lake Bees. September 3, 2016 Los Angeles Angels recalled Alex Meyer from Salt Lake Bees. September 1, 2016 RHP Alex Meyer assigned to Salt Lake Bees from Inland Empire 66ers. August 27, 2016 RHP Alex Meyer assigned to Inland Empire 66ers from Salt Lake Bees. August 12, 2016 Salt Lake Bees sent RHP Alex Meyer on a rehab assignment to AZL Angels. August 12, 2016 Salt Lake Bees placed RHP Alex Meyer on the 7-day disabled list retroactive to August 1, 2016. August 1, 2016 Los Angeles Angels optioned RHP Alex Meyer to Salt Lake Bees. June 3, 2016 Rochester Red Wings placed RHP Alex Meyer on the 7-day disabled list. Right shoulder inflammation. May 4, 2016 Minnesota Twins optioned RHP Alex Meyer to Rochester Red Wings. April 25, 2016 Minnesota Twins recalled Alex Meyer from Rochester Red Wings. March 18, 2016 Minnesota Twins optioned RHP Alex Meyer to Rochester Red Wings. October 5, 2015 Minnesota Twins recalled Alex Meyer from Rochester Red Wings. July 4, 2015 Minnesota Twins optioned RHP Alex Meyer to Rochester Red Wings. June 26, 2015 Minnesota Twins recalled Alex Meyer from Rochester Red Wings. March 20, 2015 Minnesota Twins optioned RHP Alex Meyer to Rochester Red Wings. November 20, 2014 Minnesota Twins selected the contract of Alex Meyer from Rochester Red Wings. September 17, 2014 Rochester Red Wings activated RHP Alex Meyer from the 7-day disabled list. August 31, 2014 Rochester Red Wings placed RHP Alex Meyer on the 7-day disabled list. Right shoulder inflammation. March 30, 2014 RHP Alex Meyer assigned to Rochester Red Wings from New Britain Rock Cats. January 9, 2014 Minnesota Twins invited non-roster RHP Alex Meyer to spring training. August 24, 2013 New Britain Rock Cats activated RHP Alex Meyer from the 7-day disabled list. August 9, 2013 New Britain Rock Cats sent RHP Alex Meyer on a rehab assignment to GCL Twins. June 9, 2013 New Britain Rock Cats placed RHP Alex Meyer on the 7-day disabled list. Strained right shoulder. April 3, 2013 RHP Alex Meyer assigned to New Britain Rock Cats from Fort Myers Miracle. November 29, 2012 Minnesota Twins traded CF Denard Span to Washington Nationals for RHP Alex Meyer. November 29, 2012 RHP Alex Meyer roster status changed by Potomac Nationals. September 4, 2012 Potomac Nationals activated RHP Alex Meyer from the 7-day disabled list. August 26, 2012 Potomac Nationals placed RHP Alex Meyer on the 7-day disabled list. July 19, 2012 RHP Alex Meyer assigned to Potomac Nationals from Hagerstown Suns. April 4, 2012 Alex Meyer assigned to Hagerstown Suns. August 15, 2011 Washington Nationals signed RHP Alex Meyer.